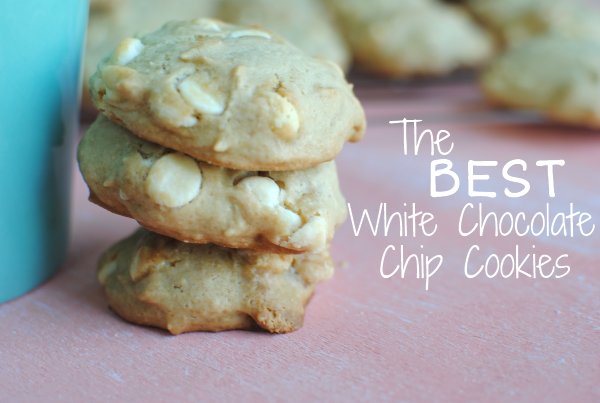 It takes a lot to make a cookie worth the title The BEST White Chocolate Chip Cookies. Believe me, I’ve tried my share of them. 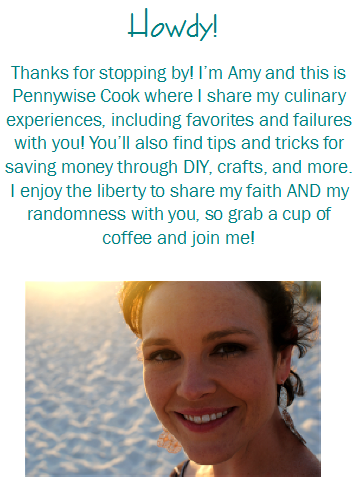 I can’t tell you that these are the best in the world, but I can tell you that they are the best that I’ve made and I’ve been working on my recipe for a little while now. I am head over heels in love with white chocolate, but it doesn’t love me back. I cannot cook with it for anything so the fact that I was able to accomplish these cookies is a feat in itself. 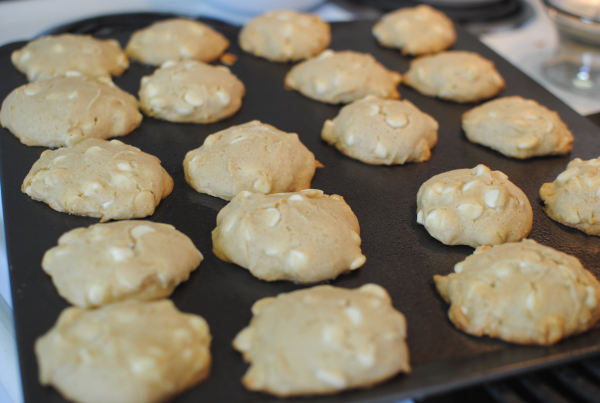 Therefore, they have been dubbed The BEST White Chocolate Chip Cookies. …and because they also happen to be absolutely fabulous as well. It starts with what you would expect from a cookie recipe, flour. Sift it together with some baking soda and a little salt. It would be good to use a sifter, but seeing as how mine is a piece of crap and the top won’t release itself from the bottom, I opted to use a wisk in a bowl. Here comes the yumminess. 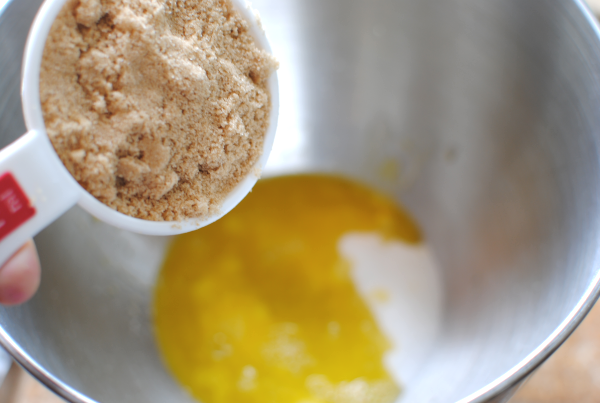 In your mixing bowl you’re going to add 2 different kinds of sugar (brown and white) along with some melted butter. I always use the Blue Bonnet Light because it makes me feel less guilty for using butter. Hey, whatever it takes right? Oh look, there’s the brown sugar! We’re going to fast forward just a bit. After you’ve mixed the sugars and the butter with the flour mixture, some eggs, and a secret ingredient- applesauce, this is what it will look like. 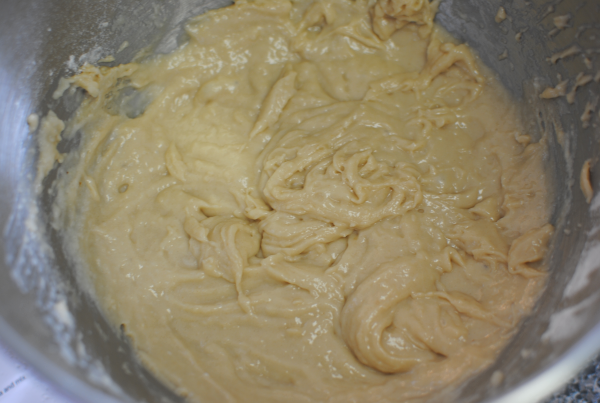 It’s quite runny for cookie dough, but understand that this is normal. It’s going to be soft and cakey and that’s why. Then comes the star of our dough, the white chocolate baby! At this point, it takes everything I have not to just grab a spoon and inhale all of those white chocolate chips. Then, I use my little cookie dough scooper to make perfect little dough balls on the baking sheet. Within about 13 minutes, they will have made your home smell heavenly and your tummy rumble for their white chocolatey goodness. Always best when eaten a little warm, of course. Yep. 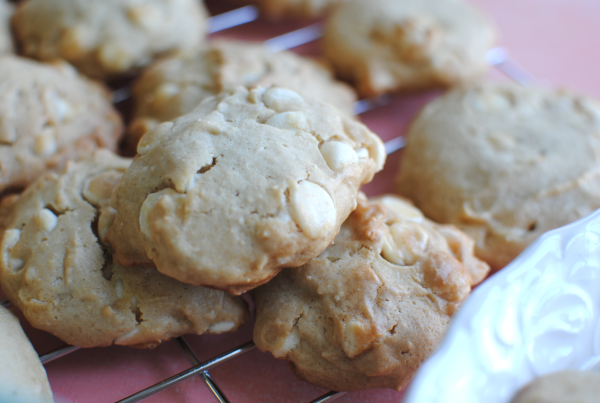 These are the BEST White Chocolate Cookies. Preheat your oven to 325 degrees. 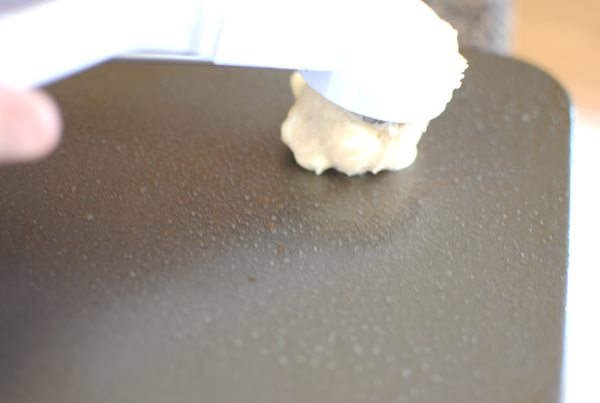 Grease your cookie sheets. 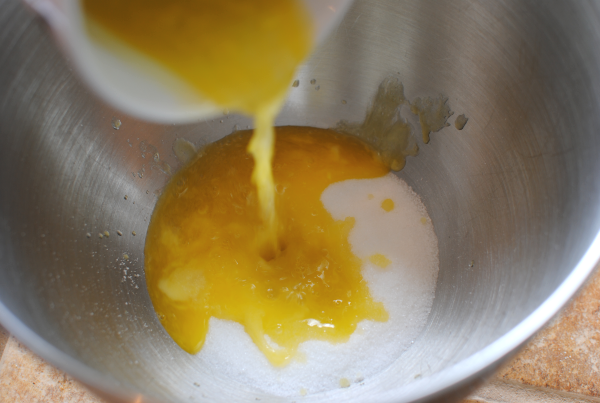 In a mixing bowl, cream the sugars and butter together. Add in the egg whites, vanilla, and applesauce and combine well. 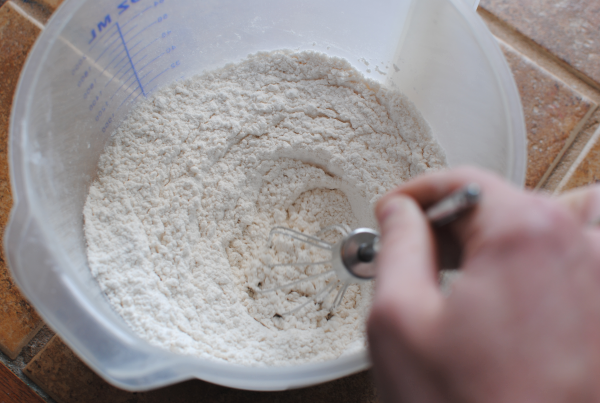 Add the sifted flour mixture slowly to the sugar mixture until just combined. 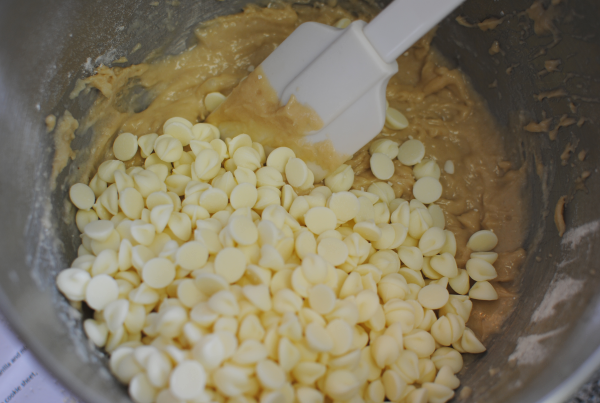 With a spoon, stir in the white chocolate chips. Drop 1/8 cup or so of the dough around 2 inches apart on baking sheet. Bake for about 13 minutes or until they have begun to brown around the edges. The timing for these has been 13 minutes for me each and every time. Your oven may be different so I would watch to see how done they are around 12 minutes and add more time if needed. The last time I made these, I counted them and was going to make a point to know how many servings this recipe makes. Of course my crazy brain forgot to write it down and now I have no idea. It’s a lot though! Maybe 2 dozen or so.